The wings on the Mark II Anson are almost entirely made of wood and are actually built as one-piece from tip to tip. They had completely rotted away and we had to build them from scratch. The wing spars are wooden, the wing ribs are wooden and the wing skin surface is plywood, covered with a doped fabric finish. The ailerons are constructed of small diameter welded steel tubes and they had essentially rusted away and needed to be rebuilt. They are covered with doped fabric. The flaps are of aluminum construction and they were acceptable for restoration and reuse. 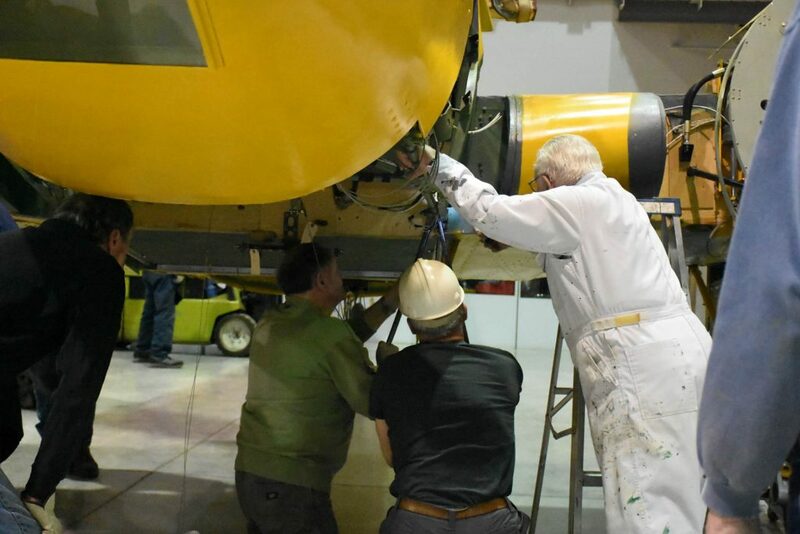 The aircraft restoration was completed in May of 2017 and is currently on display inside of the museum. Named after British Admiral George Anson of the 18th Century, the Avro Anson was nicknamed ‘Faithful Annie’ or ‘The Flying Greenhouse’ by those who flew it. The Anson was derived from the commercial six-seat 652 and Avro allotted the type number 652A to the Anson. In the 1930s A.V. Roe Company (Britain) built the Avro Anson as a reconnaissance airplane for the RAF. The aircraft began its military service in 1936, becoming the RAF’s first monoplane with a retractable undercarriage. By 1939 it was already obsolete, and it served operationally in the early years of the war as a light bomber and coastal patrol aircraft. During the evacuation of Dunkirk, Anson’s were used aggressively to protect the beleaguered British troops. However, the Anson was severely limited in range, fire-power, and bomb load and was soon limited to training, transport, and other non-combat roles. The Anson was steadily replaced by later types such as the Lockheed Hudson and the Armstrong Whitworth Whitley throughout 1940, but a few remained with Coastal Command until 1942. In the early days of the British Commonwealth Air Training Plan (BCATP), the Anson was selected as the primary twin-engine aircraft for the training of pilots, observers, wireless-operators, and bomb aimers, and over 20,000 aircrews received their training on it. This selection resulted in the largest Aircraft construction program in wartime Canada. At first, the Anson was supplied to the BCATP by the United Kingdom. 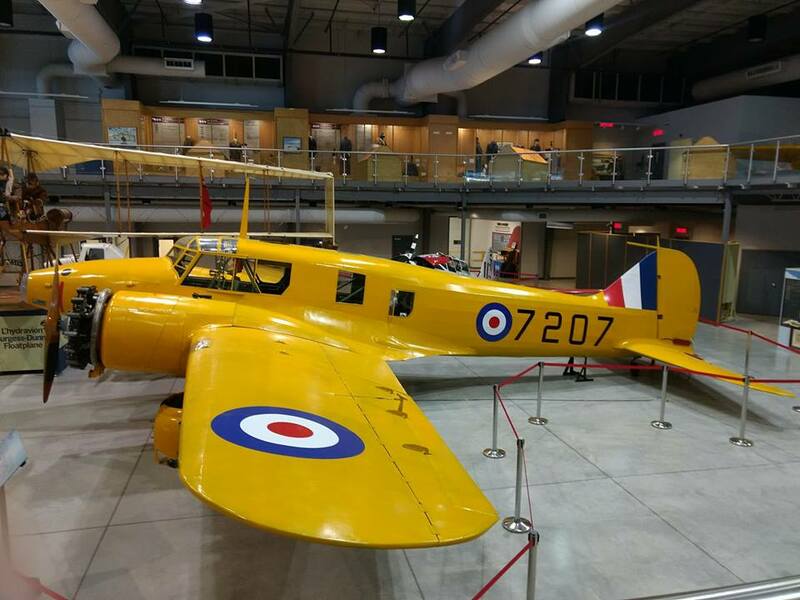 However, by May of 1940, British production could not keep up with the demand for aircraft in Canada and Federal Aircraft Ltd., a Canadian government-owned company, was established in Montreal to produce the Mark II Anson Trainer. The main Anson variant was the Mk I, of which 6,704 were built in Britain. The other variants were mainly distinguished by their power plant, with the Canadian-built Anson Mark IIs using two, 330 hp (246 kW) North American built Jacobs L-6MB R-915 engines. They were also fitted with hydraulic landing gear retraction rather than the manual system used on the Anson Mark I. 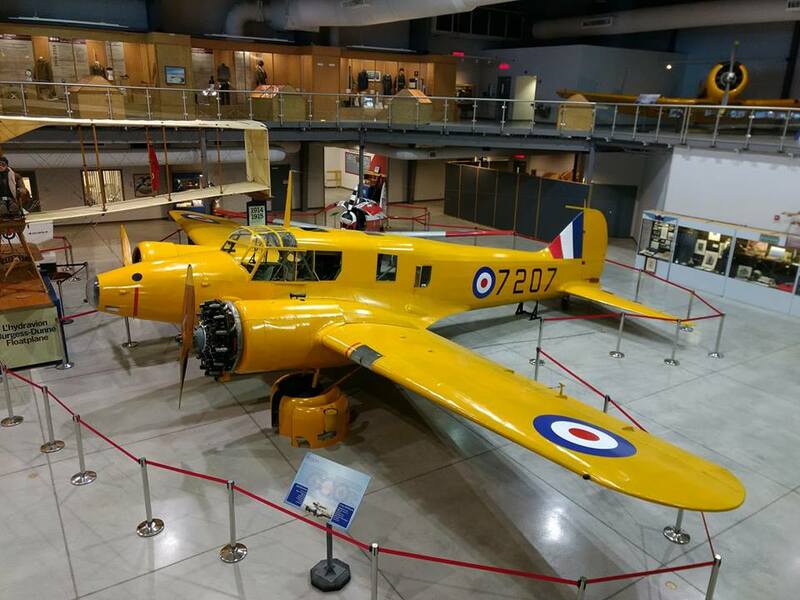 In August of 1941 the first Canadian built Anson flew. It featured the considerable use of plywood to save stocks of steel for other wartime purposes. By the end of production in 1952, the Anson spanned nine variants and a total of 8,138 were built in Britain by Avro. 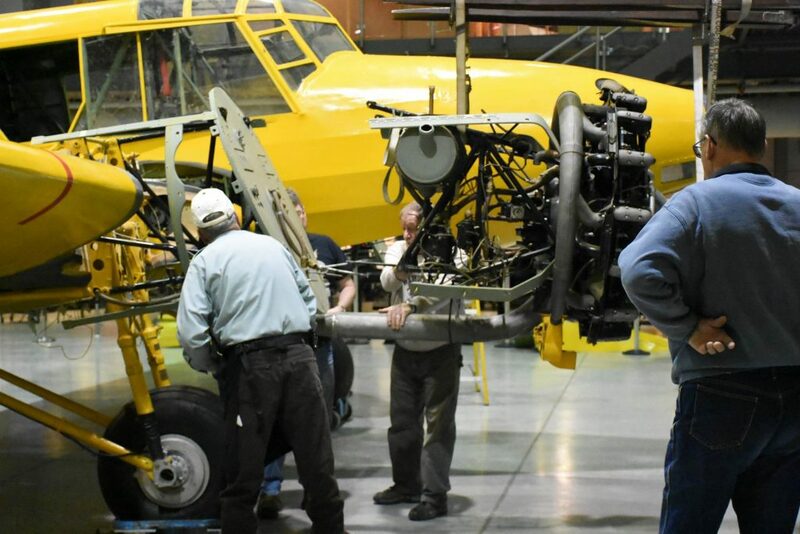 From 1941, a further 2,882 Mk II Ansons were built by Canadian Federal Aircraft Ltd. The Canadian version, the Mark II, was flown by twenty-one countries and was used primarily for military purposes. As a training aircraft, the Anson was docile, forgiving, and easy to fly. Anson II’s were a familiar sight in the skies of southern Alberta during the war. Most Ansons were declared surplus at war’s end and many were immediately destroyed. Some were sold to farmers who used their electrical, mechanical, and other parts for various purposes on the farm. The Royal Canadian Air Force and Royal Canadian Navy operated Ansons until they were retired from service in 1952.